Accelerated by the power of computation and exponential technologies. Pattern recognising super performance structures. Reinventing construction through robotic fabrication. Forecasting the future of beauty. Designer and innovator, Alisa Andrasek is working on the convergence of design, computer science and exponential technologies. She is bringing AI and robotics to the forefront of architectural design and construction. 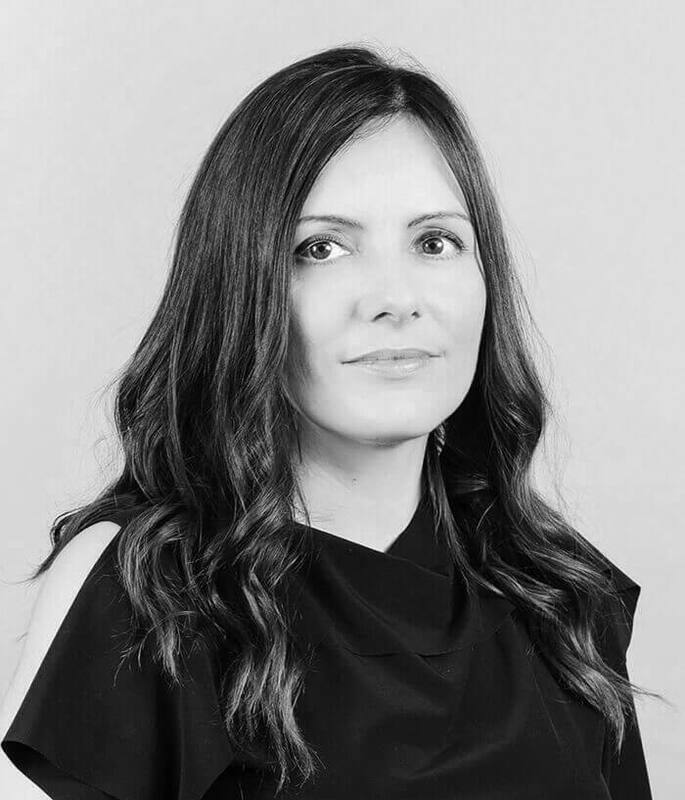 The founder of Biothing, an award winning design laboratory; a partner of Bloom Games; and co-founder of AI Build, Andrasek is Professor of Design Innovation at RMIT, prior to which she directed an award winning program in advanced architectural design at UCL in London and Wonderlab research. Her work has been exhibited at the Centre Pompidou Paris, New Museum NY, Storefront NY, FRAC Collection Orleans, TB-A21 Vienna, Beijing and Sydney Biennial, among others. Coming out of Andrasek’s research on high resolution microstructures that are information-rich, co-designed with algorithms and AI, and built by robots, this mathematized cloud resonates complexity of cloud formations. The vectorised swarm is captured through n-dimensional architectural fabric, generating dynamic interference patterns, drifts and ruptures in visibility, pulling visitors like an invisible gravity force through an awe-inspiring experience. Cloud Osaka exemplifies high-resolution open synthesis applied to a largescale urban master plan. Transportation hubs and highly urban train stations in particular, are becoming destinations in their own right: strong urban attractors, often showcasing some of the latest technologies. The Li-quid Chair project uses fluid dynamics, designing impossible liquids by assigning “unnatural” values of gravity and viscosity. Abundance is an example of a robotically extruded microstructure, in the form of lightweight lattice. Due to the high level of noise and extremely high resolution of this fabric, its dazzling deep moire and deeply unstable interference effects can only be experienced by being immersed in this high resolution architectural fabric. The application of MAS, structural analysis and tri-cubic transformations to the voxel lattice microstructure. Morphocyte builds on Wonderlab’s research on cellular division, by simulating biological processes such as morphogenesis or cancer cell growth, and using its differentiating power to create an unseen, intricate and heterogeneous design vocabulary. XenoCells extends the research from the Alien Within Familiar project in order to materialise an artefact from that world. Still fabricated at lower resolution than desired, it uses multi-material robotic extrusion to 3D print a 2.4-metre tall column in two colours. The first project developed using algorithms based on cellular division. The researched focused on testing different design opportunities by embedding a high resolution of articulation into 3D printed fabrics, as it was available given the constraints of robotic extrusion in various materials. The Gossamer Tower project features robotic 3D printing and simulation of a biological process of stigmergy, for the design application at a larger architectural scale.